God has Eternal Life in Himself. In fact, Eternity is one of His Infinite perfections. Stunningly, he calls us to share in His Eternal Blessedness, to become partakers of His Divine nature, to share in His Eternal joy! “In the preaching of Jesus,” says the great Dominican scholar Father Garrigou-LaGrange,“everything is directed immediately toward eternal life.” This statement alone is a marvelous revelation of the underlying mission of Jesus. Jesus leads us to Eternal Life and gives Himself to us in the Holy Eucharist to securely accomplish this objective. The Eucharist is, therefore, simply the most important “thing” there is on planet earth! With the exception of its sister sacraments and the entire order of grace, everything else on planet earth pales in comparison to the value of the Eucharist. If you have made your First Holy Communion, you have entered into a superior order of existence directed immediately at securing for you the gift of Eternal Life. Jesus, whose very words as Eternal Wisdom triumph infallibly over the carnal prudence of worldly wise men, directs us to eat his body and to drink his blood. His very words at instituting the Eucharist on Holy Thursday assure us that this is the sacrament of the “new covenant in my blood” (Luke 22: 20 ). 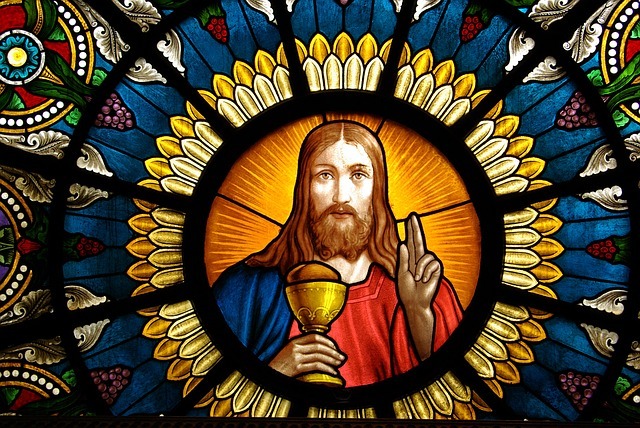 And during his Eucharistic discourse, Jesus emphatically stated: “Truly, truly I say to you, unless you eat the flesh of the Son of man and drink his blood, you have no life in you; he who eats my flesh and drinks my blood has eternal life….” (John 6:53-54). Why are our hearts not more on fire for the Holy Eucharist? Why do we have such an appetite for “petty, peripheral things”? The degree to which our lives should be focused on the Holy Eucharist really should be nothing short of extraordinary. “If thou didst know the gift of God” (John 4:10). Sources: The Creator and the Creature by F.W. Faber (discussing, among other things, God’s Infinite Perfections); The Three Ages of the Interior Life by Father Garrigou-Lagrange; Saint Pope John Paul II, General Audience of April 8, 1992 which contained the quote from Saint Thomas Aquinas found at Summa Theol., III, q66, a. 6) ; the terms ‘carnal prudence” and “worldly wise-man” are from John Bunyan’s The Pilgrim’s Progress; Dietrich Von Hilderbrand used the expression, “petty, peripheral things.” Catholic theologians explain that “God has life in Himself.” “For as the Father has life in himself, so he has granted the Son also to have life in himself” (John 5:26).